These reliable plants provide a long season of interest, not only with their wide variety of flower forms and colours, but also with their diverse range of attractive leaf shapes. 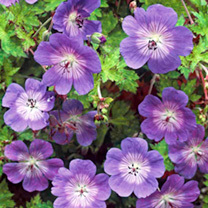 They make excellent ground cover, forming spreading mats of weed-suppressing foliage topped with masses of colourful flowers! Supplied in 9cm pots. 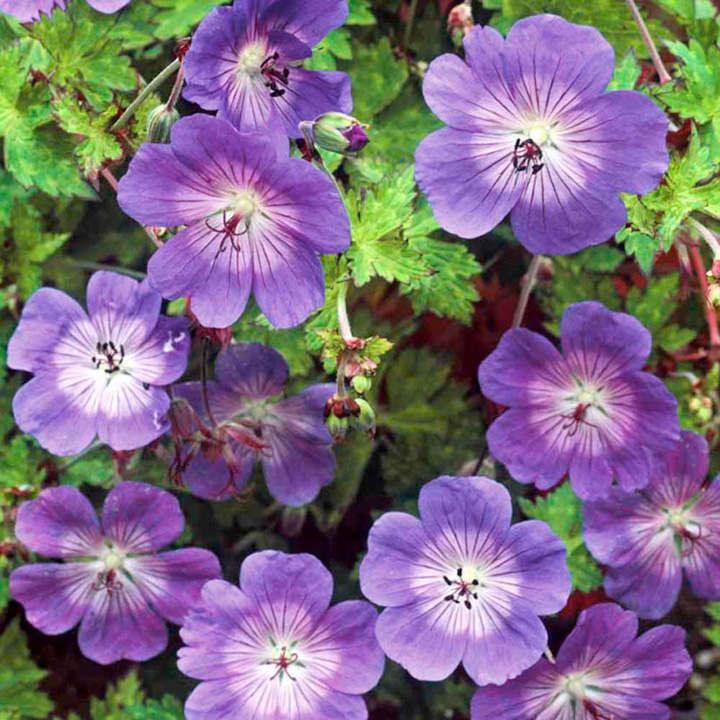 Single Hardy Geraniums. 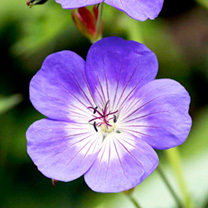 Rozanne - Large saucer-shaped flowers up to 5cm which are violet-blue with white centres. Winner of the RHS Chelsea Flower Show 'Plant of the Century' in 2013 and RHS Award of Garden Merit winner. Flowers June-October. Height 30cm (12"); spread 40cm (16"). Front of border variety.